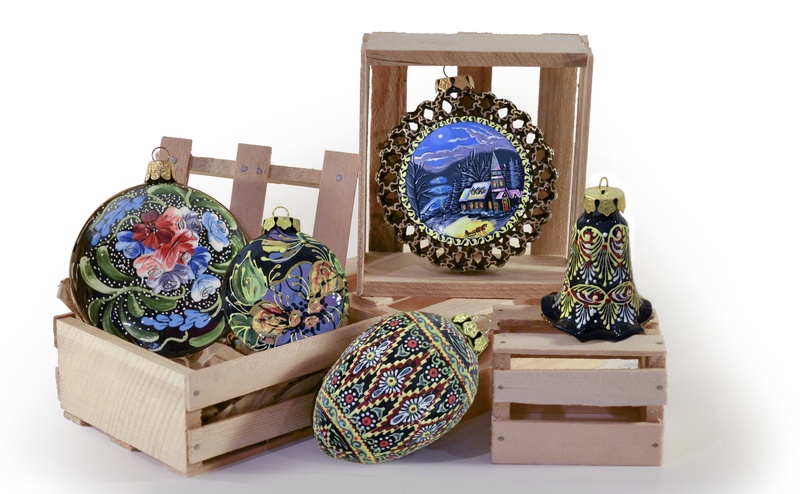 These beautiful handcrafted ceramic items are produced in Uzbekistan by skilled artists who have graduated from prestigious art schools such as Moscow State University and the Penkovo Art School. Original designs are inspired by the creative imagination of the artists themselves and many are based on traditional themes from Russian fairy tales and legends. Many pieces mirror popular Russian folk art styles including Zhostovo, Khokhloma, and Gzhel. The patented needle technique used in producing these items allows you to actually feel the details and patterns on the painted surface.